HBD & Airport Business Park Southend (ABPS) sponsored ELSEA’s latest drinks’ event, which was held on Thursday 7 February in the Hubble Room at the Astronomer Pub, off Bishopsgate, close to Liverpool Street Station in the city of London. 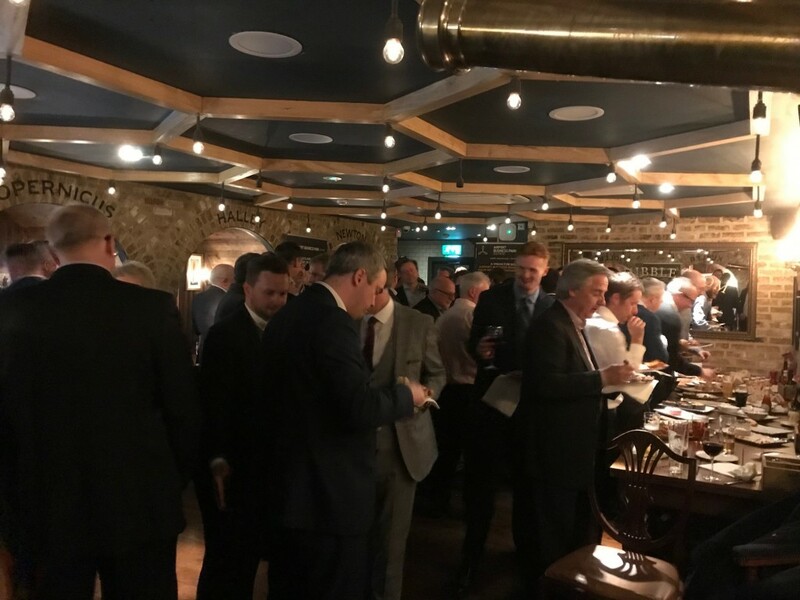 The event was extremely well attended by commercial agents and surveyors active across East London & South Essex – ELSEA is a long-established informal, regular networking group for agents, surveyors and professionals active in the general area. ABPS extends to 50 acres and is accessed via a new road directly from Cherry Orchard Way. The business park has outline planning consent for one million sq. ft. of commercial space including circa 600,000 sq. ft. of offices, 350,000 sq. ft. of industrial, together with ancillary supporting uses such as a hotel, restaurants and retail. That said, it should be considered a “blank canvas” and we will consider alternative uses, subject to planning. ABPS is “open for business” with bespoke building solutions to match specific occupiers requirements on either a freehold or leasehold basis. Detailed planning consent has been granted for a new 125,000 sq. ft. industrial headquarters facility which has been sold to Ipeco Holdings Limited, a specialist manufacturer of all types of aeroplane seats. Construction will commence in May this year, with completion scheduled for December 2019. Terms have also agreed terms with a drive thru coffee operator at the entrance to the business park and strong interest in several other plots. For further information please visit abp-southend.com or speak to Colin Herman or David Sewell at our Basildon office, 01268 532425 or Tim Collins at our Chelmsford office, 01245 358988 or our joint agents, Dedman Gray.